Through workshops, students learn how to create a website with shared hosting where students can learn how simple it is to start their own social network and edit pages with a shell account. Furthermore, they learn to create a “darknet” or private network independent of the Internet. Using a simple wifi router, that the students name and design, students will be able to communicate in an anonymous forum. The goal for this project is to make network infrastructure less scary for people without technical backgrounds. OurNet wants to develop a new conversation around technology and ownership because it is so important to understand how much independence you have — or don’t. 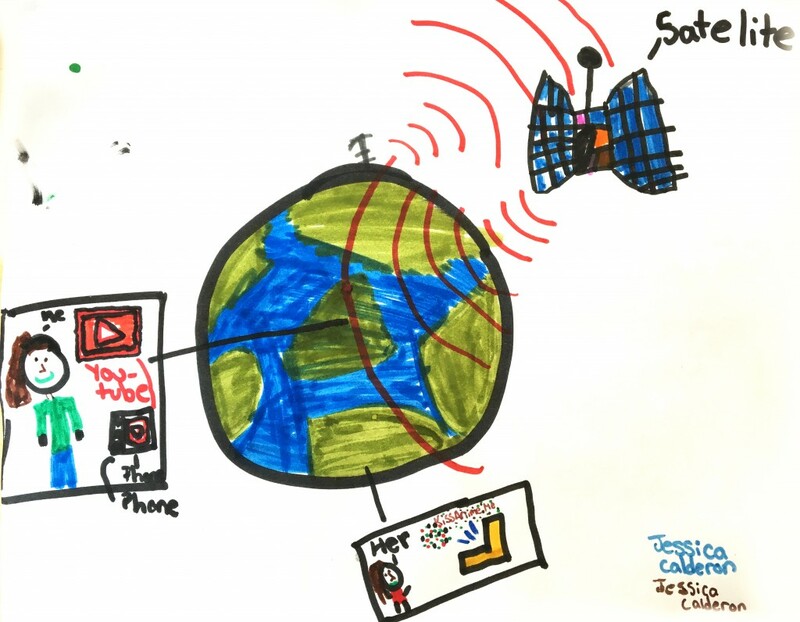 Image: a drawing by Jessica Calderon, as she imagines the internet at the beginning of the Our Net program.